The Office Gets Outdoors – No Tricks Just Treats! Venturing out on Halloween isn’t everyone’s cup of tea … or coffee in this offices case, but we leapt at the opportunity to be outdoors! It was more spectacular than spooky for us as we got the opportunity to pop on our Garden House Design jackets and accompany Rensons official photographer Adrian Toon to go snap some shots of our favourite louvered canopies from Autumn 2017! On such a beautiful morning we headed straight to the South Coast which was a no brainer considering the fresh sea air that greeted us once we were there. The crisp blue sky made the ideal backdrop for our white Camargue. We sprung into action to make the most of the sunshine and all started snapping away. We’ve always known what a stunning addition these canopies can be to an outdoor space but being able to be out enjoying one personally was fantastic. We got to sit down for a moment and truly embrace the contemporary and peaceful feel this sleek design had to offer. If there was a coffee going for Debs she couldn’t have been more in her element. Unfortunately our time here was done, we got some fantastic shots of the Camargue and soaked up just a snippet of outdoor living under the superb RENSON louvered canopy. We need not fear that our Halloween adventure was over, we hopped back in the van and headed to our next destination! On the road to our next stop the excitement bounced around the van, after having seen one we were keen to see another. A stunning grey Camargue nestled within beautiful greenery instantly grabbed our eyes… How could it not? 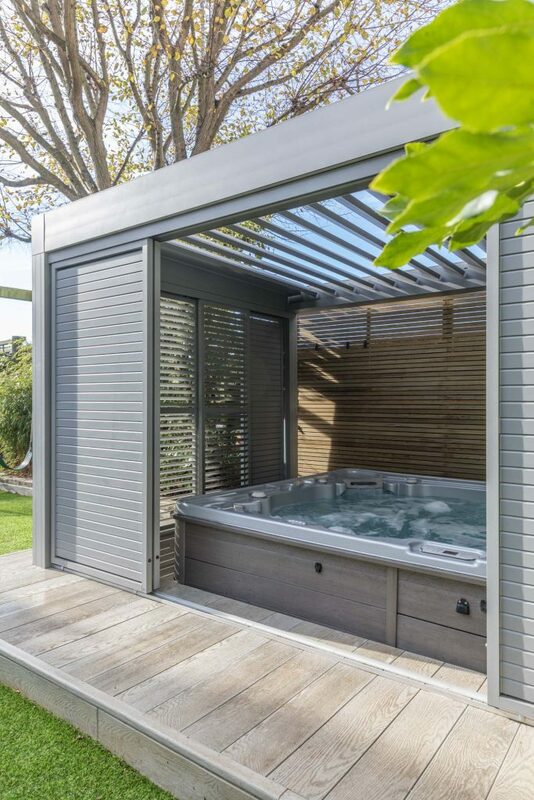 We pulled back the loggialu sliding doors to reveal a fantastic built in hot tub – a little corner of heaven. Needless to say we weren’t able to enjoy this one quite as much as the last due to work uniform not quite being appropriate hot tub attire! Adrian got some amazing photos here really utilising the features the Camargue had to offer, but before we knew it Halloween had taken its wicked turn on us, and it was time to head back to the office. We don’t know when we will be out and about again, but we will not dwell on that! 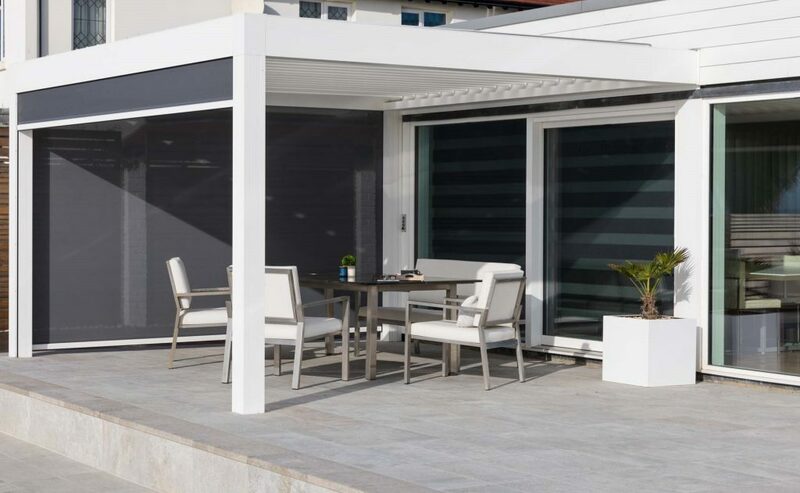 Instead we take from that day the love of being outdoors, the true realisation that you really can use these canopies for whatever you like – be it a hot tub shelter, a seating area, a kitchen dining area, the possibilities are endless! Our moto has always been ‘live life outdoors’ and now more than ever is the time to be doing it! Our Halloween truly was only full of treats!